Today is June 14th! It’s my birthday! AND it’s a national holiday: Flag Day! I was actually due to be born on the 4th of July but ended up entering this world a few weeks early. 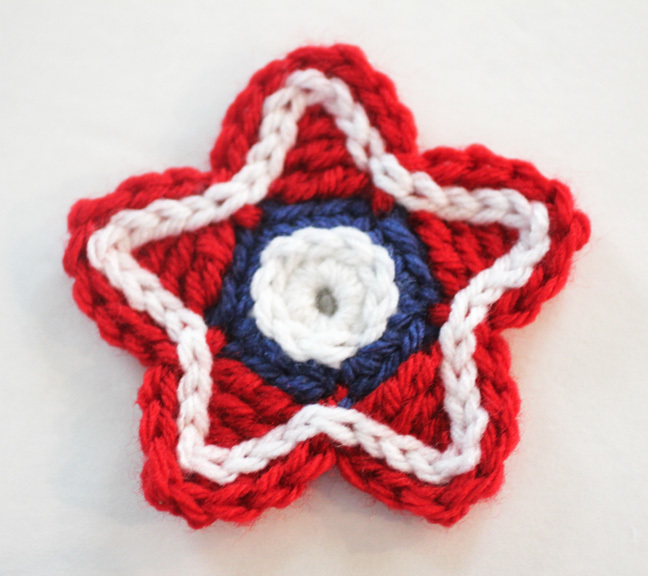 Either way, it seems as thought I was destined to have a patriotic birthday 🙂 So I am celebrating with some patriotic crocheted stars. 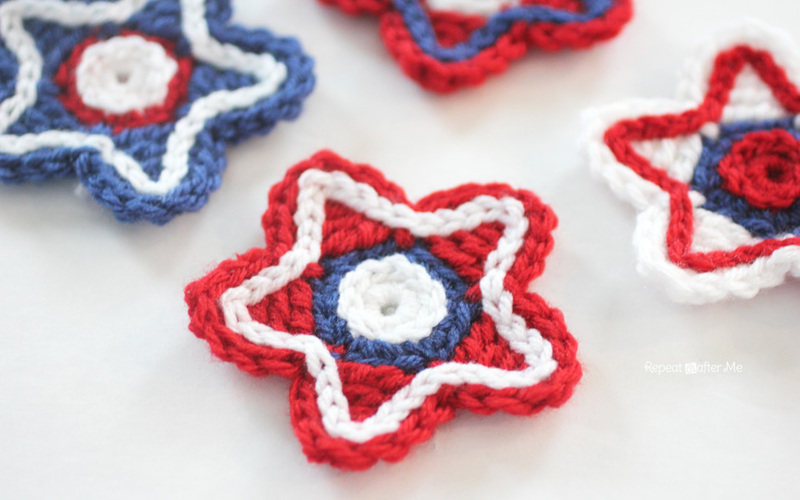 Of course you could make these in any color you want but I think they would be fun for your 4th of July celebration. 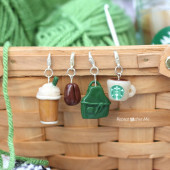 I can see these as table decorations, bunting, keychains, hat appliqués and more! Round 3: Chain 5, SC in second chain from hook, HDC in next stitch, DC in next, TR in next. Now you have made one of the points of the star. 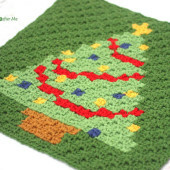 Skip two stitches and join with a slip stitch. Now Chain 5 and repeat process until you have all 5 points. Round 4: SC around the edges of all 5 points. Slip Stitch over the first slip stitches you made when you get to those points. It also helps to make two SC at the top of each point. Fasten off and weave in ends (or make your life easier by just tying them in a knot like I did). 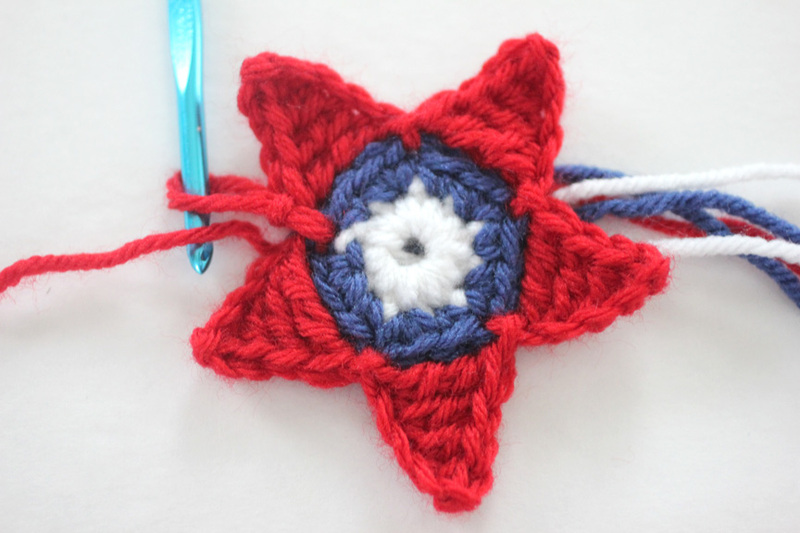 Surface Slip Stitch around the inside edge of the star. Surface Slip Stitch in a circle around the edge of your center. So cute! What a darling bunting this would make too!!! Thanks for the tute! And HAPPY BIRTHDAY TO YOU!!! I have kids about your age, I think. Oldest girl is 32, then next girl is 30, and baby boy is 24! Flag Day? I'm thinking Sheldon and Amy and their You Tube Videos!!!! Happy Birthday from a fairly new English follower. So cute! Thanks for sharing! 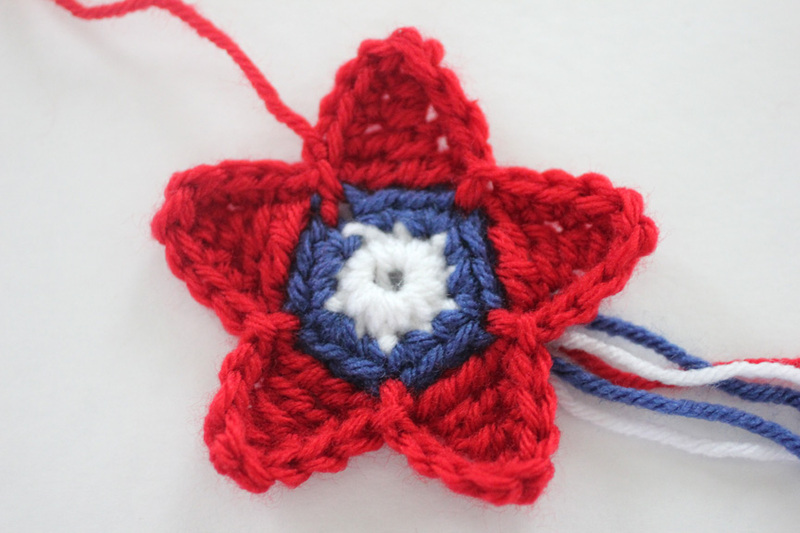 :~) Between Memorial Day, Flag Day, Independence Day, and Bastille Day (which is also my husband's birthday … different country, but same flag colors), I think I may just have to make up some of these! Happy birthday, Sarah! Thank you! And a Very Happy Birthday to you! I have seen similar looking stars but I have never purchased that pattern and have no idea how the pattern you linked to is made. It looks like it has some obvious differences so I am sure they are worked differently. That being said, I know a lot of star patterns out there are made with the same type of points. Just like hat patterns have similar working rounds. This particular star took me about 5 tries to get it right. Lots of ripping out stitches and starting again. I would never purchase and steal someone else's pattern and post it as my own. I'm sorry but that was just a rude accusation to make. This star looks nothing like the one you linked. What do you do just go around all day stalking people and trying to see if they "copy" another pattern? She lists her patterns for free for God's sake! Why would you even think to accuse her of BUYING a pattern to steal and make into her own for free? This really irks me. And on her freaking birthday no less! Shame on you! And happy birthday Sarah! 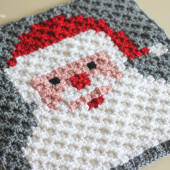 Sarah has been kind enough to share her patterns that she obviously puts a lot of hard work & pours her heart into with all of us crocheters in the world… As she said a lot of patterns are similar out there. To make an accusation like that is well I agree with Chelsea, rude. Thank you again Sarah for being kind enough to share your hard work with us! There are many of us that GREATLY APPRECIATE it!!! The other point to make about copying patterns is that there is nothing wrong with looking at a picture and trying to figure it out, either. 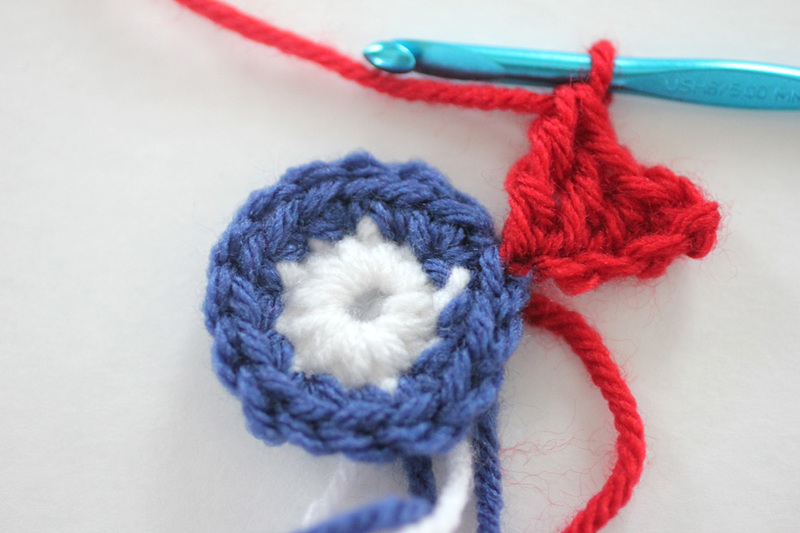 If people post closeups of their work, then experienced crocheters (or knitters, or whatever) may be able to reproduce their patterns by working it out themselves. That's what handworkers have been doing for centuries…. Love the pattern! Happy Birthday Sarah! And what adorable little stars! Happy birthday! Thank you for your cute patterns. I'm having a hard time with the surface slip stitches. I know how to make them, but for some reason I can't find the right place to put my hook to make it look like yours. Mine ends up squiggly. Super cute tutorial though! Love these stars! What is the size point to point? Thanks! Oh, Sarah, these are so cute. 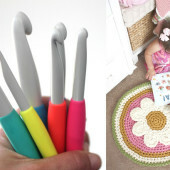 I blog on my iPhone at night if I have trouble sleeping and last night I saw these and knew I wanted to try making some. So today I couldn't remember which blog I saw them on so I just spend about 15 minutes going over the blogs I follow on Bloglovin'. I almost thought I wouldn't find you and then I did. So glad. Off to crochet. Thanks so much sharing your pattern. Happy birthday Sarah. Thank you for sharing this cute star pattern with us. I made four of them to use as a garland and posted about them. So glad I found your blog. These are great! So happy to see you again on Craft Schooling Sunday, missing your fabulous crochet! these are soooo cute. thanks for showing us how to make! Love these! Thanks for the pattern. Thanks for posting these!! 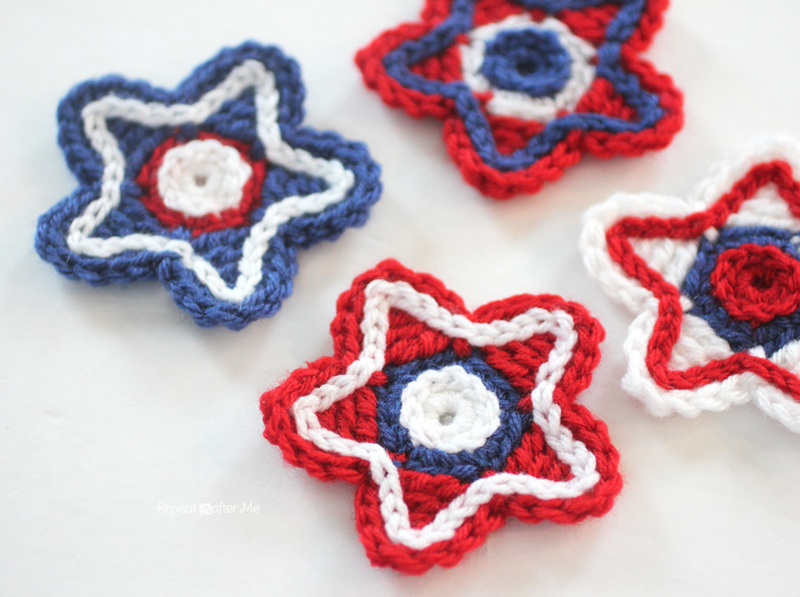 I made a few and turned them into hair clips for the fourth!! Thank you!! Oh my gosh – thank you for this! 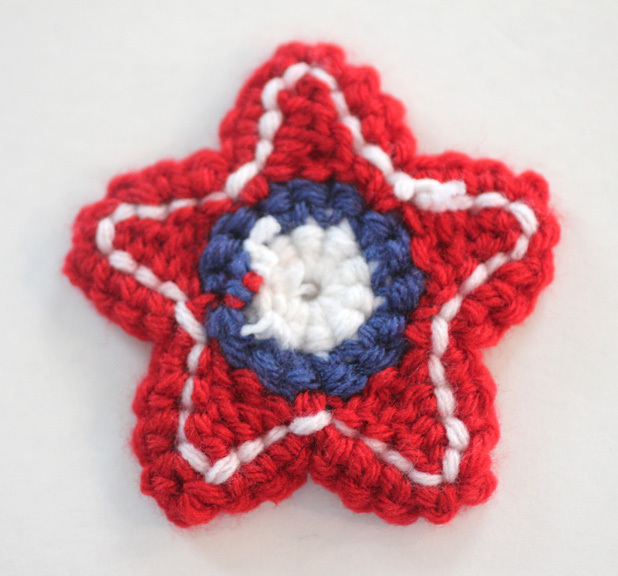 I am making some Captain America slippers for my daughter and these are perfect! By the way, my mom is also a Flag Day baby! Happy Belated Birthday to both of you. and yet, another dog collars idea!! Brilliant article. Such a great platform for lots of images gathered in one place. I heard about Pinterest before but don’t know about its use. Great guidelines which really makes me to use it easily.